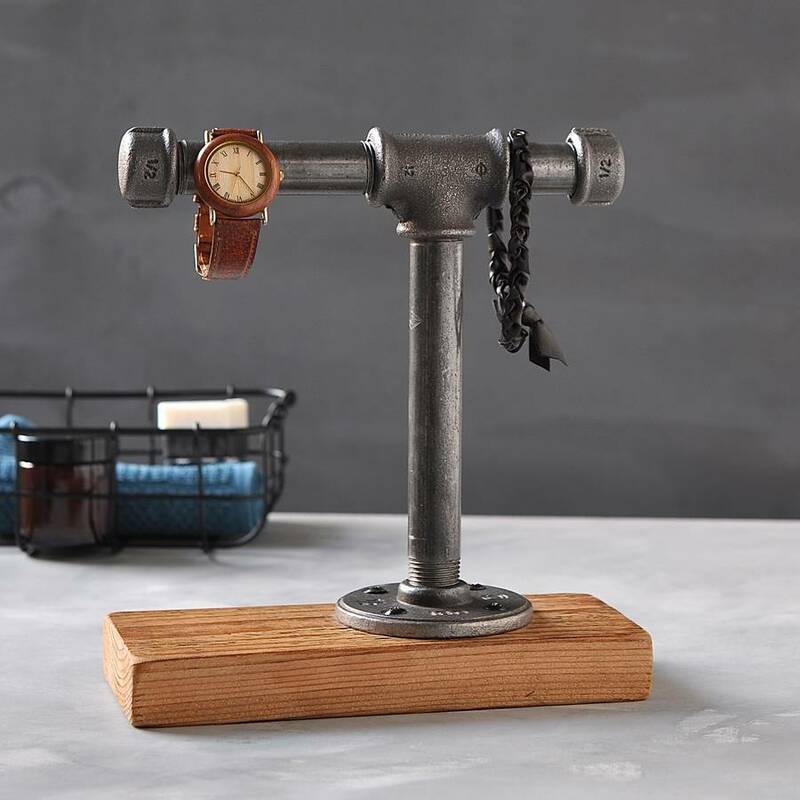 An industrial steel pipe jewellery stand. 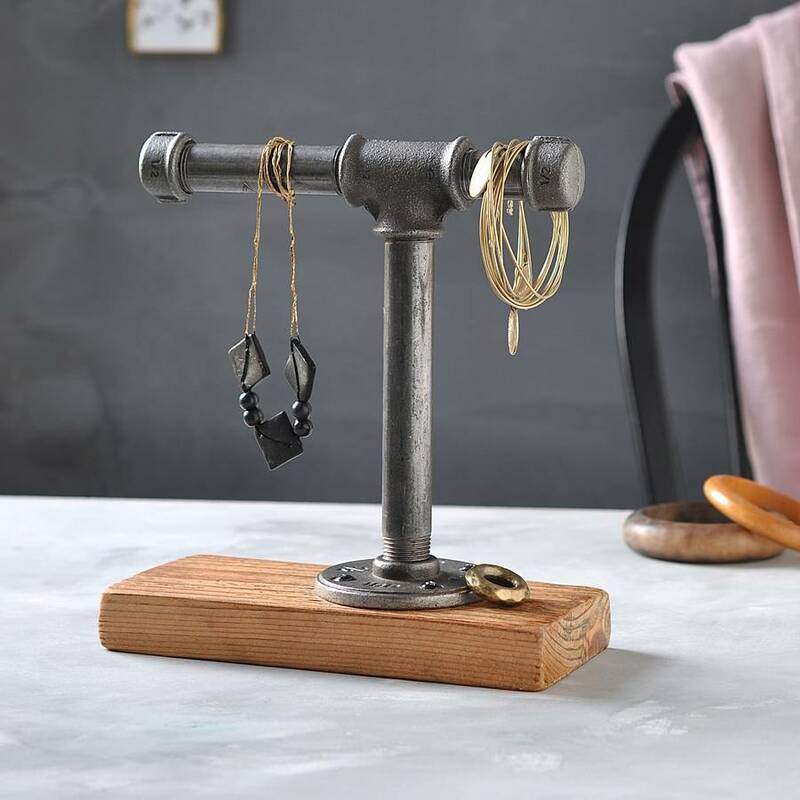 This gorgeous handcrafted industrial jewellery stand will make an eye catching display in your room. 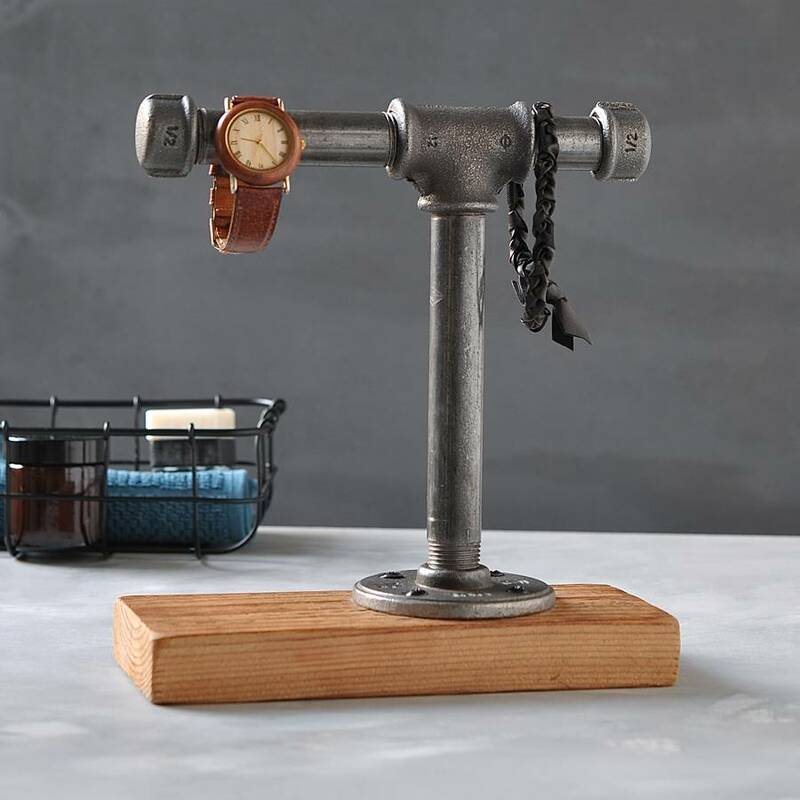 A perfect accent to your rustic industrial look. The stand has two arms for hanging jewellery and a reclaimed wooden base. 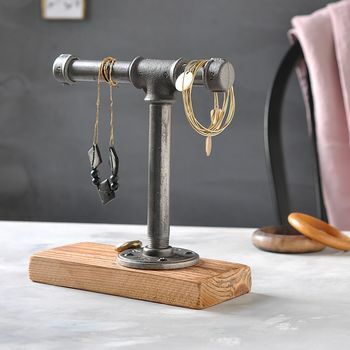 A great way to stay organized and show off your jewellery. Each one are lovingly made to order in our Devon workshop.